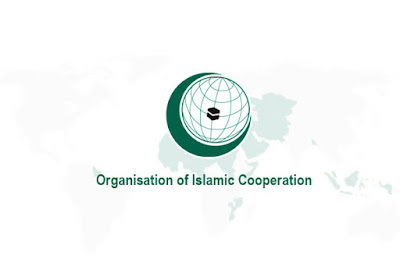 Jeddah—The Organization of Islamic Cooperation (OIC) has expressed grave concern at the eruption of violence in Rakhine state following attacks by unidentified insurgents against Myanmar border facilities on October a which resulted in the deaths of several security personnel and insurgents. The OIC calls for a full investigation into the incident to determine the perpetrators in order to bring them to justice. The OIC has received disturbing reports of extra judicial killings of Rohingya Muslims, burning of houses, and arbitrary arrests by security forces in Maungdaw Township and other villages in Northern Rakhine State. The situation has caused many Rohingya to flee their villages and the subsequent blockade in the region has also left many in the area facing acute shortages of food, water and essentials. The OIC Secretary General, Mr. Iyad Ameen Madani appealed for calm and called on all stakeholders to apply maximum restraint, refrain from the use of violence and to avoid an escalation of the situation. He urged the Government of Myanmar to provide full protection to Rohingya people in Northern Rakhine state. Mr Madani further expressed concern that the volatile situation and continued violence will only prolong the plight of Rohingya people and further polarise the Muslim and Buddhist Rakhine communities in the state. The Secretary General noted that it is only through dialogue and reconciliation with all members of society, including the Rohingya, that Myanmar could achieve true development and socio-economic progress. The report published by Pakistan Observer on October 14, 2016.